These new Loungefly x Star Wars printed backpacks are now available for pre-order at Entertainment Earth. 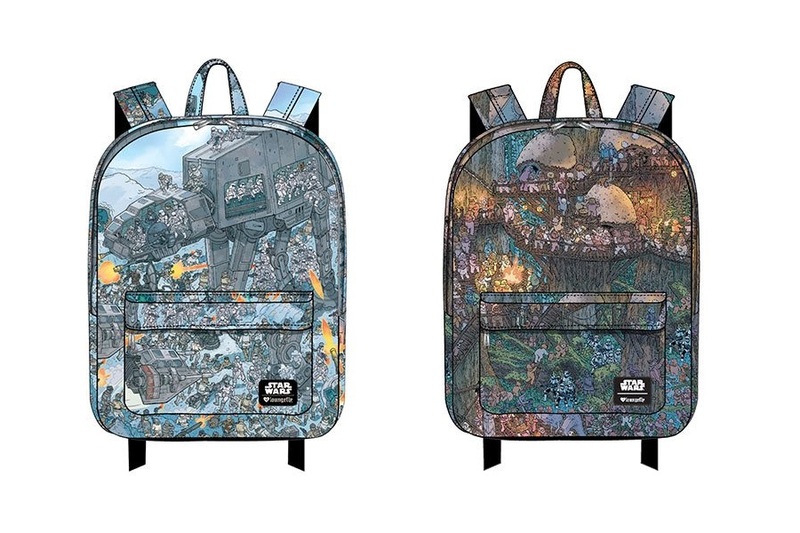 The printed nylon backpacks feature artwork of scenes from the Star Wars films – choose from Imperials on Hoth, or Ewoks on Endor. The cute print style is reminiscent of ‘Where’s Waldo‘ artwork (or ‘Where’s Wally‘ for those outside the US) – you can spend ages looking closely at all the fun details in the print! These backpacks match the ECCC exclusive backpack, which features Darth Vader and Imperials. Step out on your next adventure with some familiar friends close at hand. 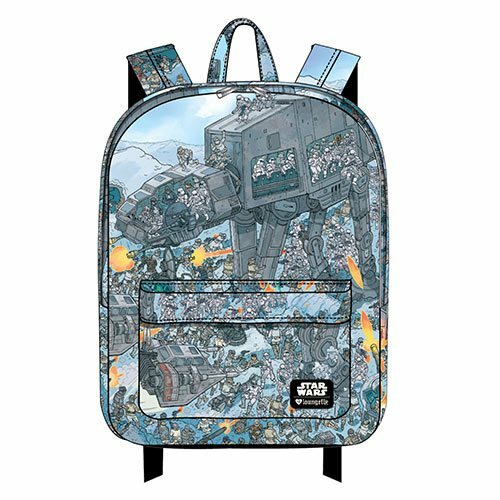 This Star Wars AT-AT Print Nylon Backpack features the art style of Where’s Waldo, inspired by the opening battle on Hoth in Star Wars: Episode V – The Empire Strikes Back. Step out on your next adventure with some familiar friends close at hand. 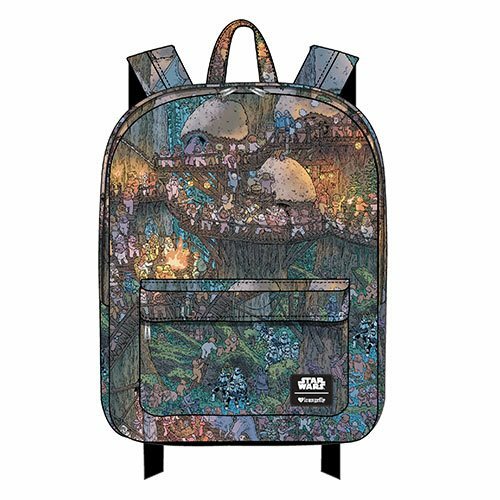 This Star Wars Ewok and Troopers Print Nylon Backpack features the art style of Where’s Waldo, inspired by the forest of Endor in Star Wars: Episode VI – Return of the Jedi. Measuring 17 1/2-inches tall x 11 1/2-inches wide x 5-inches deep, it also sports a printed lining, an interior laptop pocket, and reinforced shoulder straps! 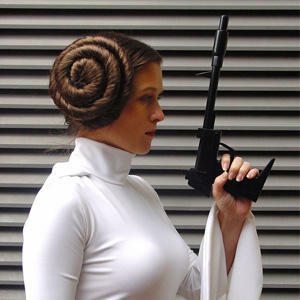 The backpacks are priced at US$40.00 each – while Entertainment Earth can ship internationally, these items are only eligible for shipping to selected countries. These are pre-order items, with stock expected to ship in July 2018.